Kick becomes first ever Indian movie to be shot in Warsaw, Capital of Poland. Salman Khan's Kick becomes the first Indian film to be shot in the Capital of Poland whereas the second Bollywood film as well as Indian film to be shot in Poland. The first one was Fanaa (2005) starring Aamir Khan & Kajol Devgn. Fanaa was exclusively shot in Tatra Mountains, Southern Poland. Kick is scheduled to kick-start it's shoot from April 12th in Warsaw, Poland. Here's a few pics of Warsaw, Capital of Poland. Na na there can be only one Krrish & that's Hrithik. Salman Khan in Warsaw, Poland for the shoot of Kick. And yes it's a wrap. 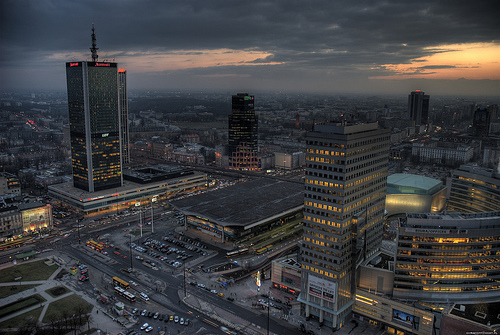 Kick's Warsaw, Poland schedule completes it's shoot early. More pics from Salman Khan's KICK, Warsaw Schedule. Share your views.